Is it a weed or edible green? The summer rains bring lots of sprouting green plants. Tidy gardeners like to get undesirables out pronto, but what might be called a weed by some could be a tasty salad. 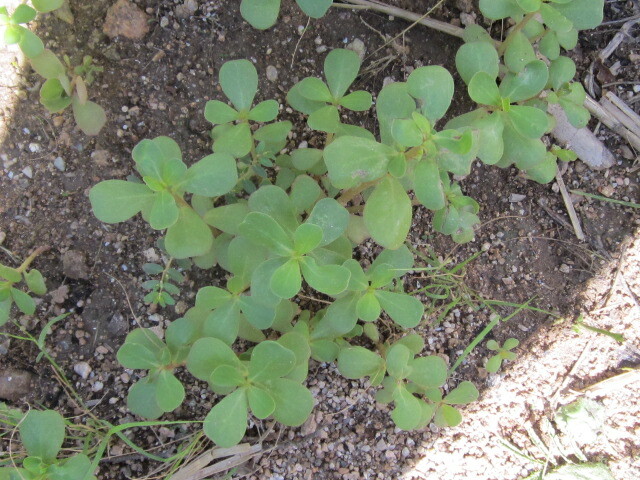 I first learned about purslane (which the Mexicans call verdolagas) decades ago while researching my book American Indian Cooking: Recipes from the Southwest. While hitchhiking into town from the outskirts of Taos to do library research, I was picked up by Teles Goodmorning, an elderly man from the Taos Pueblo driving an old red pickup. When I told him of my interests, he offered to let me accompany him to a dance at Picuris Pueblo. Sounded better than the library! Later he took me home to meet his wife Pauline and over the next couple of years, that sweet woman taught me about the wild plants she gathered. Her daughters liked purslane so much that she canned it for out-of-season eating. Purslane is a low-growing succulent with fleshy leaves, pinkish stems and a slightly lemony-y flavor. It is good chopped in salads with a light vinaigrette and can be added to a stew. It contains vitamin C, calcium, iron and the most Omega 3 acids of any green. It also has some of the slippery juices that help with controlling blood sugar. Late summer is also the season for wild amaranth. This is not the variety that produces big seed heads, but a leafier species. The leaves have a mild flavor and are good just lightly cooked in a stir fry or steamed. 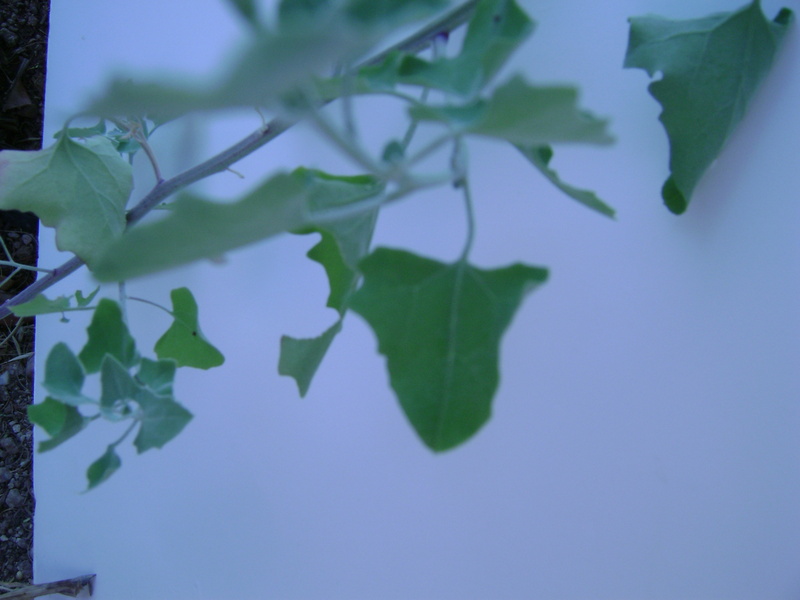 I’ve written about lambsquarter back in the spring a couple of times, but here it comes again. Mild, delicious and full of vitamins. 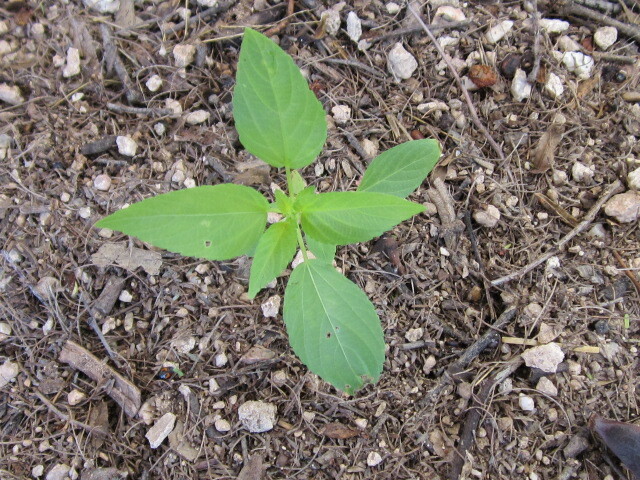 This reliable “weed” wants only sun and a little moisture to produce a nice crop. It doesn’t even need very good soil. So for a free harvest of good eating and a mega-dose of vitamins, control your weeding for a few weeks, let the greens grow and turn your yard cleanup into a harvest instead. For more recipes for using these and other wild greens, check out my latest book Cooking the Wild Southwest: Delicious Recipes for Desert Plants. I’ve been weeding and munching on verdolagas for the last few weeks. The sour taste is really unique and one that I look forward to each summer. I only learned to eat this “weed” in the last three or four years. I still would love to walk with you one day to get a good understanding of edibles. I can affirm that all of these greens are delicious when picked early on, the earlier the better. The back sideback is lined with some that need picking and eating right away, so I’ll get going on that. The little greens are the best part of native foodery, since you can just pop them in your mouth. Carolyn Niethammer writes about the food, people and places of the beautiful Southwest from her home in Tucson, Arizona. Whether she is turning prickly pear juice into a delicious sauce or baking mesquite pods or acorns into a fragrant bread, she delights in finding new recipes for desert wild plants.